Celebrities tend to be some of our favorite style icons, even though most of their looks are way out of our price range. Every so often, though, we see a celeb wear something we can find at some of our favorite affordable stores. While some celebs like Bryce Dallas Howard will wear dresses from places like T. J. Maxx and H&M on the red carpet, most celebs often save their affordable clothing for everyday use. In particular, Jessica Biel was recently spotted wearing an amazing gray casual sweater from Forever21. Even better, the Boxy Heathered Knit Sweater comes in at only $24.90. Gray sweaters are a wardrobe staple because they go with ~everything~ and can easily be dressed up and dressed down. The Boxy Heathered Knit Sweater comes in both gray and ivory, making it perfect for all occasions. 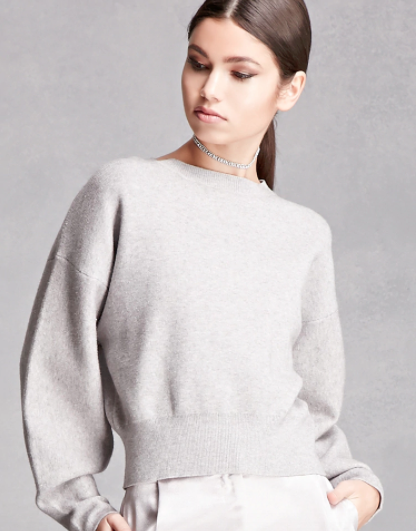 The luxury-looking sweater looks like it costs hundreds of dollars, so you can look like you spent more for waaay less. Ugh, if we can’t ~be~ Jessica Biel, we’ll definitely settle on emulating her fantastic style.